Another photo taken by my father in 1954. 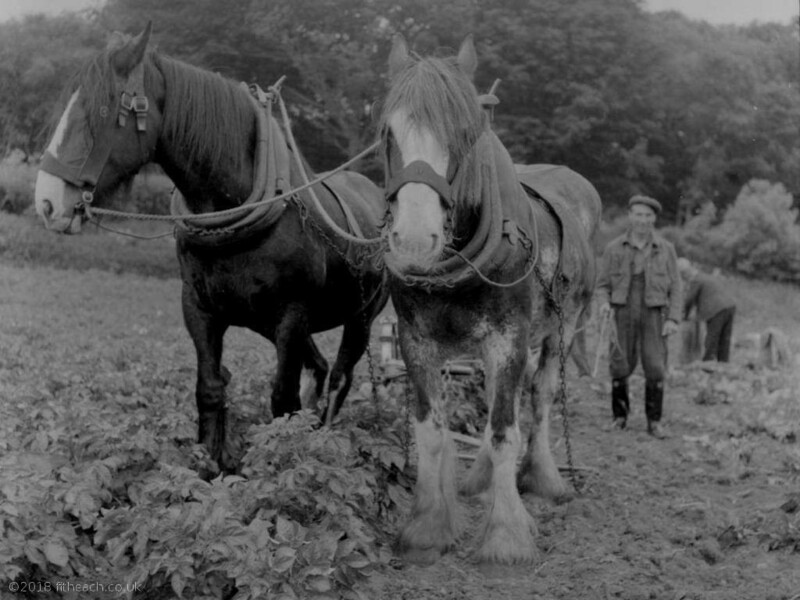 Two working horses and two men harvesting potatoes in a field, on the Isle of Skye. This would have been a rare sight even in 1954, tractors would mostly have replaced horses by this time. The horses have pride of place in the photo; the men are recognisable but nicely out of focus.